I even made it back to LA in time for an impromptu dinner with friends and way, way too much good food in mah belly. And then there’s spring break baking. We’re talking massive, massive amounts of lazy baking and…absolutely no photos. None, zero, zip. What. As penance (i.e. when the realization hit me that it’s been almost 2 weeks since my last post, eeps! ), I decided to dig up some old photos of these amazing Lemon Meltaway Cookies I made last month and completely forgot to post. Sometimes I’m so grateful to my lazybum self–otherwise, you would have missed these gems! 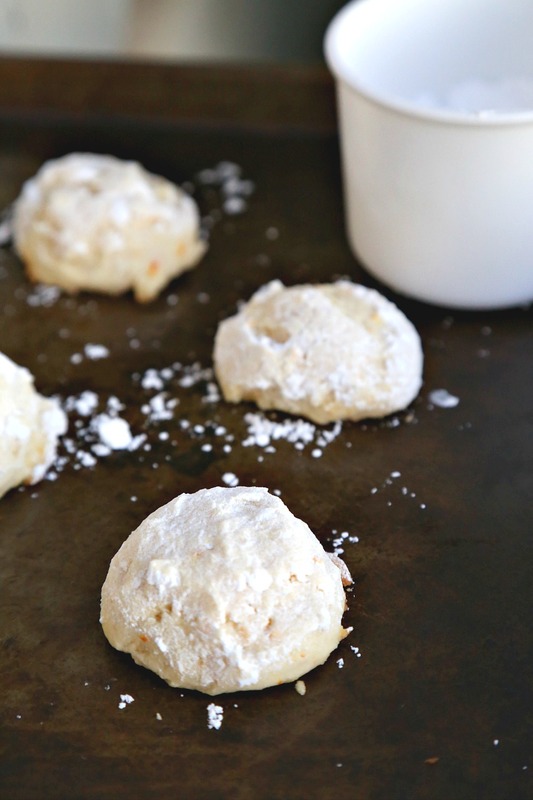 They’re a complete cinch to make and perfect for the citrus lover in your life. Sweet but not-too-sweet, tart but not-too-tart, these meltaway lemon cookies, well, melt away in your mouth at first bite. Perfect for sharing! These lemon meltaway cookies are easy to whip together and perfect for the lemon lover in your life. Sweet but not-too-sweet, tangy but not-too-tangy, and bursting with sunshiney citrus flavor! In a medium bowl, beat butter until light and fluffy. Cover and refrigerate for at least 3 hours before baking. Preheat oven to 350 degrees F. Lightly grease a cookie sheet. Scoop 1-inch balls of dough onto cookie sheet. Bake in preheated oven for 8-10 minutes, until the tops and edges have just set. 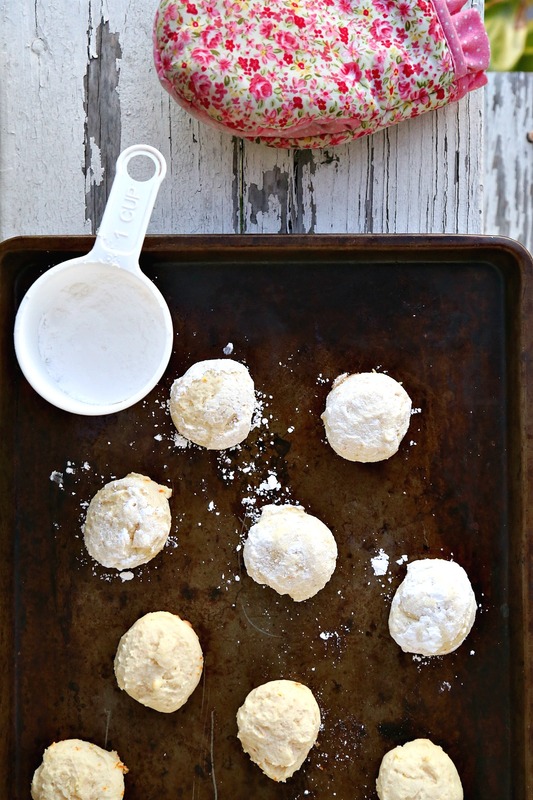 Allow cookies to cool slightly before coating them completely in powdered sugar. Serve and enjoy! LOVE lemon. More than chocolate, actually. (I know, I know.) So you made these for me,yes? 🙂 Really nice — thanks. I read somewhere that lemon should be a staple in our diets, lemon water before anything else, grated lemon on salads etc. Reckon these fall into that category somewhere? I say yes. Love, LOVE, love lemon – looks like Ill be making a batch stat. 🙂 Happy weekend my lovely friend. I made these and they are WONDERFUL! I followed the recipe exactly except I did a double coat of powdered sugar at the end (coated, waited 10 minutes or so, and gave them another roll in the sugar…YUM). The dough was beautiful and soft and easy to work with. I made batter and left in fridge overnight for baking the next morning. They baked a little longer than stated; about 15 minutes or so. The lemon flavor is spot on and I appreciate that these are without lemon extract as it is sometimes fake tasting. These are also not too sweet. The texture of the cookies is light and crisp. Thank you for a wonderful recipe that I will be making many more times I am sure! I look forward to trying more of your creations!!! I’m glad you loved these cookies–thanks for taking the time to leave feedback! Hope you have a LOVELY week!